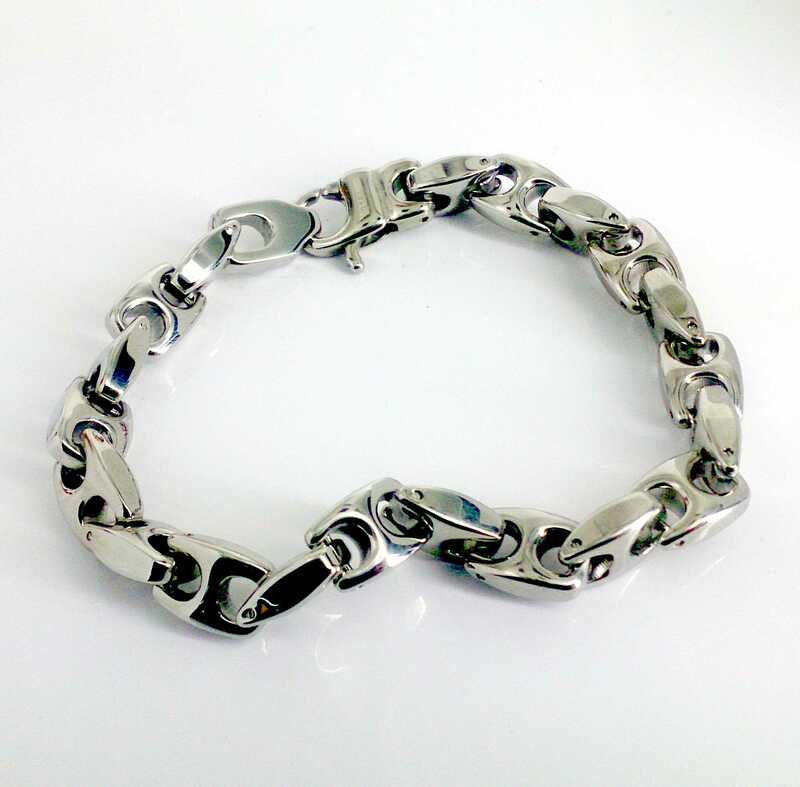 bracelet made of stainless steel with Slavonic very ELEGANT and resistant. ITS CLOSURE IS A TOUGH AND STRONG CLOSING SNAP WHERE IT CARRIED THE BRAND NAME ENGRAVING LASER. ITS length is 23 cm, although it can be shortened to the taste or the user's needs.